Whether it's Christmas, a birthday, a thank you, or any gift-giving occasion, gift cards from Cornelius Cinemas & Forest Theater will make any movie- goer's day! Stop by and visit the box office to purchase a gift card today! Group Sales Tickets are available for businesses and organizations in increments of 50 tickets for $325. These items are for sale at the box office during regular business hours. You can also purchase by mail, by phone by fax or by e-mail. Please fill out the form provided below. Mail your request to the corporate address of: Act V Theaters, 16055 SW Walker Road #425, Beaverton, OR 97006. Indicate the quantity and type of purchase you would like. 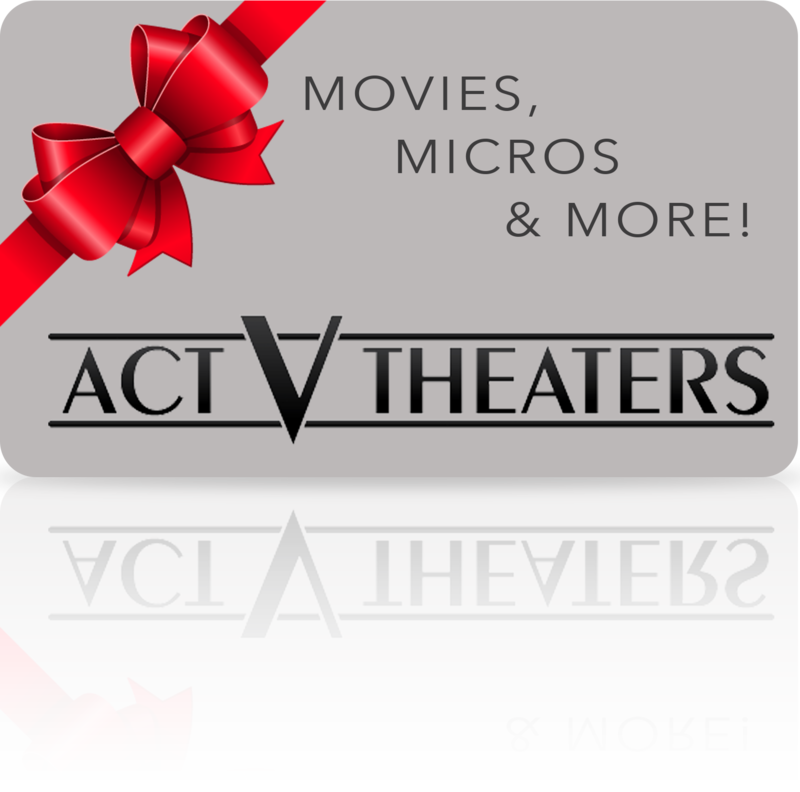 Credit Card Orders can be faxed to 503-844-7001 or e-mailed to info@ActVTheaters.com. Total your order and add a minimum of $5 per order for postage and handling. Include payment for your order. Orders will ship once the check has cleared our bank. Certified Check and Credit Card orders will be shipped immediately. For more details call 503-844-0891. ** For THX features an additional $1 fee must be paid at the Box Office. For 3D features an additional $2 fee must be paid at the Box Office. For Group Sales, please download and fill out this form.